At Autosport International 2018 PRAGA Cars will launch the new Praga R1T EVO, the fastest Praga R1 yet. The Autosport show takes place in Birmingham, England in January, with trade days on 11-12th and public days 13-14th. Praga will be on stand 6510 in the Autosport hall. Praga will start taking orders for the R1T EVO immediately with cars being delivered well in advance for the start of the 2018 race season. Current customers have already ordered the upgrade kit for the current R1T. Customers will be eligible to compete in race series such as Dutch Supercar Challenge, DMV GTC, FARA and more. The R1T EVO will start at €159,000 with the conversion kit costing €15,000 from R1T to R1T EVO and €20,000 from R1 or R1S to R1T EVO, maintaining Praga’s philosophy of affordable, competitive racing. No other race car offers a better price to performance ratio allowing customers to go head-to-head with the elite of GT3 race cars and still come out ahead. Praga is constantly developing and engineering improvements for our customers’ cars and the R1T EVO is no exception. This time Praga has made a large improvement to Praga’s own turbo system on the R1T. The power has been increased by 20bhp up to 380bhp but more importantly the new system will allow drivers to electronically adjust the power output of the car from the full 380hp down to as low as 330bhp. The car comes with three mappings at 330bhp/370nm, 360bhp/390nm and 380bhp/410nm. This becomes beneficial for a number of reasons. Firstly, amateur drivers and owners who are looking to rent their R1T, are now able to tame the beast slightly for an easier driving experience. But even for experienced drivers the adjustable power output will be welcomed during wet and tricky racing condition where it can be hard to get the full 380bhp to the ground without breaking traction. The improvements start right from the beginning where the cool outside air enters the roof scoop. The new design allows for a more optimised airflow to the intercooler improving the ram effect. A new shark fin integrated into the intake adds stability in high speed corners just as we have seen in recent F1 cars. As the air reaches the intercooler we quickly get to the next upgrade in the system. Not only is the new intercooler more efficient it is also more than twice the size of the previous one. This allows the car to maintain air temperatures of around 55°C even during the hottest races. This lower air charge temperature will maintain a higher power output to the wheels and a smoother delivery of torque. On top of this we see a 5°C drop in water and oil temperatures. Moving through the system we notice a much shorter route from the intercooler to the intake which is now half the length, therefore building boost quicker, reducing the already minimal turbo lag and improving throttle response. Praga has developed their own carbon fibre intake manifold weighing only 1.7kg, compared to the 8kg of the OEM Renault Sport intake manifold. Finally the new exhaust manifold uses a v-band connection for quicker and easier replacement when needed. Despite the added weight from the intercooler and air intake the new R1T EVO manages to shed 5kg of weight over the previous model, now down to only 620kg curb weight. Additionally Praga have tested new lightweight forged rims which save 8kg of rotational unsprung mass compared to the standard rims. These will be offered as an option for all new Praga R1s in 2018 for €3,699. During testing at Slovakia ring Praga factory test driver, Ales Jirasak, recorded a new personal best lap time for Praga with 1:56.08 beating the old lap time of 1:58,40. Over a 2-minute lap the new Turbo system offers a 1.4 second improvement per lap. Despite launching the new R1T EVO in early 2018, Praga are already developing further improvements which can be implemented incrementally throughout the year. These include Praga’s own Anti-Lag system, ABS, Traction Control, dual-speed wiper, new brake and upright system and more. 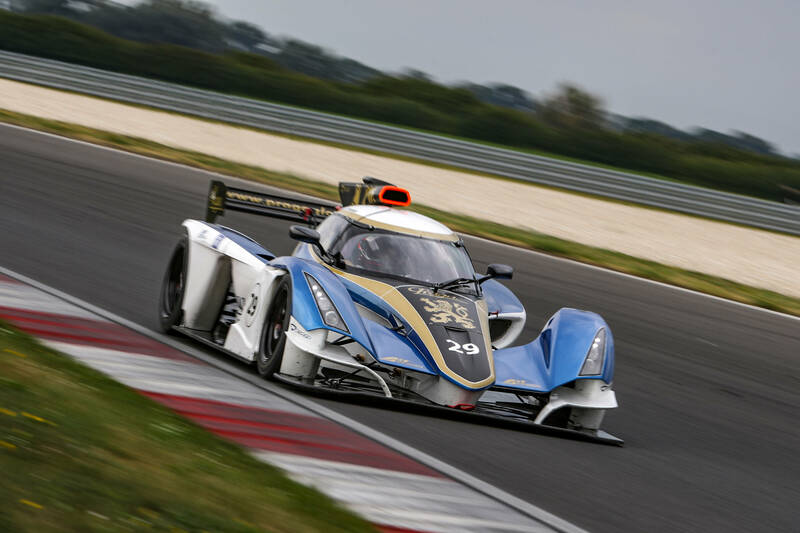 Look out for the new Praga R1T EVO at a track near you in 2018!